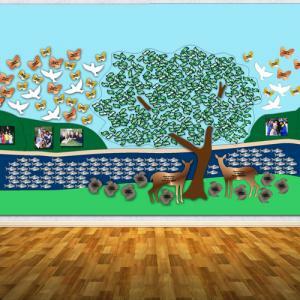 A full wall mural with numerous animals, birds, butterflies and fish are shown for various donor levels. 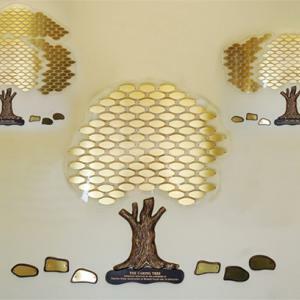 A scatter leaf tree centers the design with 6 individually mounted, interchangeable photos. 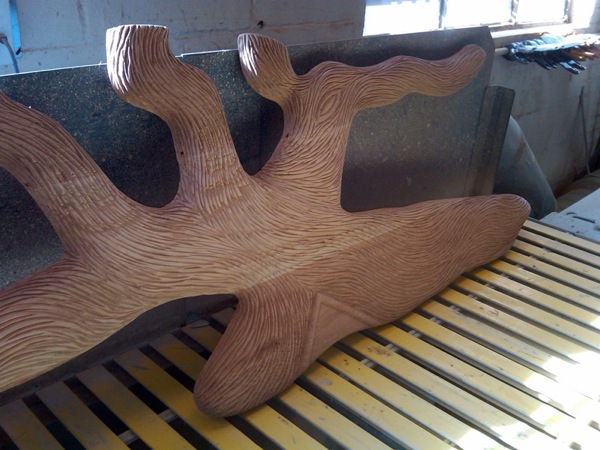 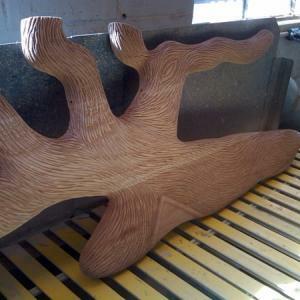 A variety of metals, woods and acrylics are utilized throughout. 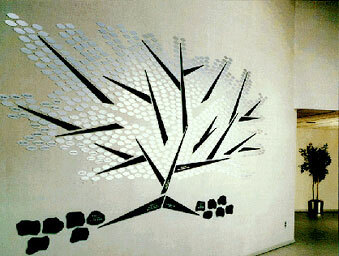 An economical growth tree enables a small recognition program to grow from 100 to 300 leaves in 3 stages. 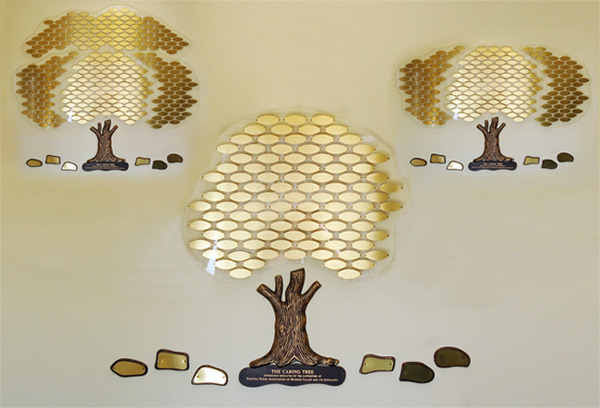 The 1 1/2" x 4" brass leaves are mounted on Plexiglas islands. 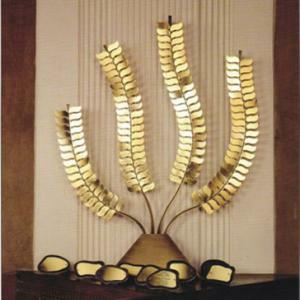 The base is sculptured bronze with an oxidized finish. 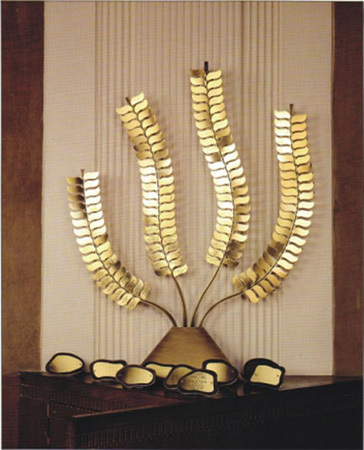 170 - 2" x 4" brass leaves are affixed to brass branches, free-standing on a fabricated oxidized brass base. 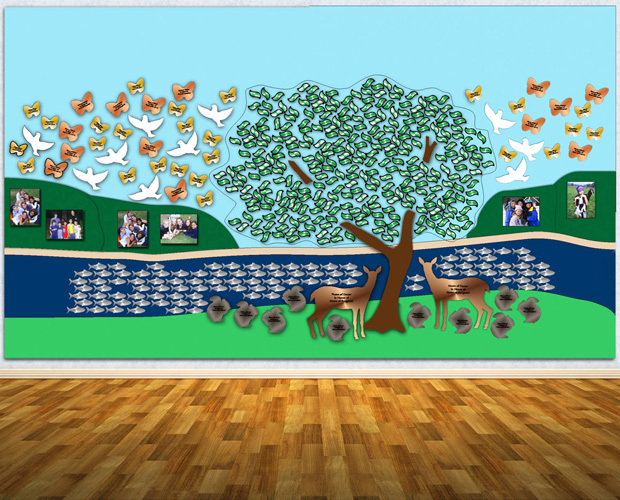 This modern Donor Tree accommodates 500 - 1 1/2" x 4" aluminum leaves mounted directly to the clients' vinyl covered wood wall. 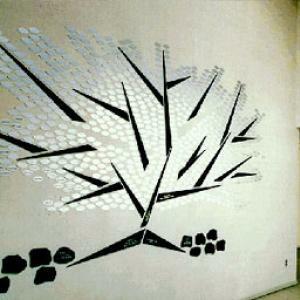 The black anodized branches and rocks make an outstanding setting for large donor recognition. 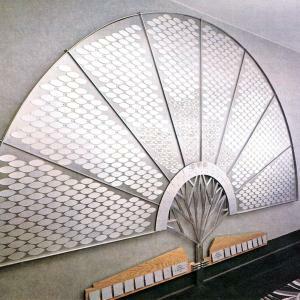 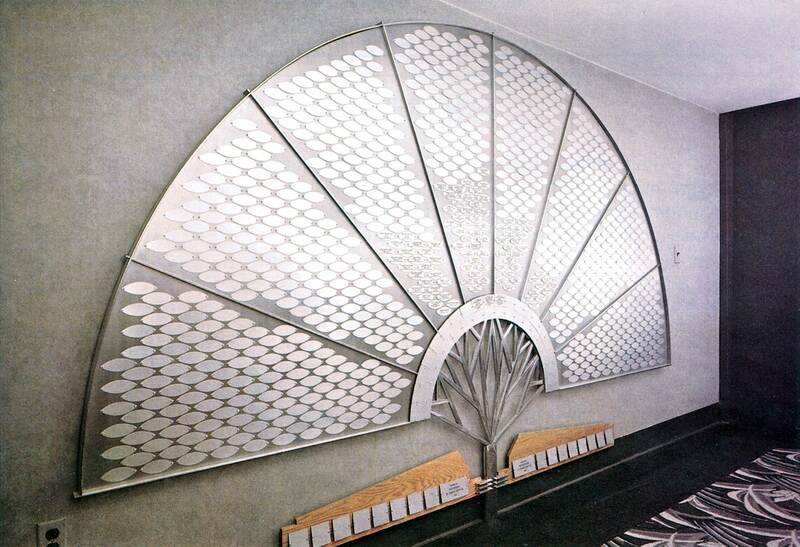 Aluminum leaves mounted to satin aluminum background with aluminum divider bars, larger donors are recognized on the bottom donor plates.